London – 28 November, 2017– At their annual summit, the European Interactive Digital Advertising Alliance (EDAA) brought together stakeholders encompassing the entire online advertising industry, with 200 participants including advertisers, agencies, ad tech, and media, at the Renaissance Hotel – St. Pancras. The EDAA Summit saw high-level debate around the key policy and business challenges for the online advertising industry in promoting transparency and control towards consumers. Discussions revolved around key developments for the EU Self-Regulatory Programme on Online Behavioural Advertising, the role of industry standards in a rapidly changing legislative environment, along with the impact and consequences of the pending ePrivacy Regulation recently adopted by the European Parliament. 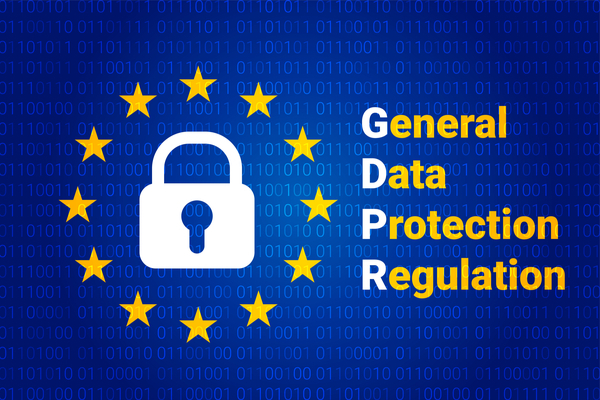 These discussions come whilst the European advertising industry continues to engage with policy makers at both European and national level to advocate greater alignment between the GDPR and ePrivacy Regulation and a more robust, clear, and meaningful approach to data protection for business and consumers alike. During the morning session, Paul Jordan, Managing Director, Europe, IAPP, opened by discussing core business responsibilities under the GDPR including organisational accountability, privacy by design, and the role of the Data Protection Officer. The message was simple – companies across the advertising ecosystem must work towards their compliance efforts without delay. Focusing in on implications for the ad industry, Townsend Feehan, CEO, IAB Europe, and Chair, EDAA, introduced the conception of a new open-source consent mechanism for websites and companies that collect and use data for advertising; the technical blueprint for which has been developed by IAB Europe’s GDPR Implementation Group with input from cross-industry experts, and was presented by Wil Schobeiri, CTO of MediaMath. The technical solution is designed to enable websites, advertisers and their ad technology partners to make more robust disclosures, as well as obtain, record and update consumers’ consent for their personal data to be processed in line with the GDPR. Moreover, the mechanism enables transmission of user consent choices to the supply chain, increasing accountability in the advertising ecosystem by enabling the creation of consent records and an audit trail. With a view to building cross-industry consensus and commitment to the standard, the principles around its use, its implementation, and the governance underpinning the mechanism, IAB Europe is inviting broader industry engagement over the coming months and before the mechanism is deployed in advance of 25 May 2018, when the GDPR comes into effect. Companies relying on the future mechanism will have to adhere to principles and criteria that will be developed in consultation with brands, agencies, websites, publishers and tech companies. These principles will contribute to greater mutual reassurance and trust between all ecosystem participants. Companies who wish to stay informed can register their interest at www.advertisingconsent.eu. During the afternoon sessions, key research demonstrating consumer willingness to pay for content, apps and services online, the broader economic contribution of the industry, and the value of tailored, relevant advertising was highlighted by representatives of IHS and GfK, based on three projects commissioned by the EDAA and IAB Europe. The full results are available on www.datadrivenadvertising.eu. Industry also gained key insights from the recent LikeABadMovie campaign which, through a series of short entertaining and informative videos, challenged European policy makers to adopt more balanced legislative measures and ensure greater consistency between the GDPR and the ePrivacy Regulation. The event closed with valuable industry snapshots of GDPR preparations by Vincent Potier, COO of Captify, Catherine Armitage, Senior Manager Public Affairs and Digital Governance Exchange at the World Federation of Advertisers and Will Hutchinson, Director of Data and Analytics of MailOnline. The event, in only its second year, was a huge success for the EDAA, which continues to deliver its mission of working toward greater consumer transparency, choice and control. The European Interactive Digital Advertising Alliance (EDAA) is a non-profit organisation based in Brussels and is responsible for enacting key aspects of the Self-Regulatory Programme for Online Behavioural Advertising (OBA) across Europe since its launch in October 2012. EDAA principally acts as the central licensing body for the OBA Icon and provides technical means for consumers to exercise transparency and control over OBA through the youronlinechoices.eu online consumer choice platform. EDAA is governed by EU-level organisations, which make up the value chain of OBA within Europe and acts to ensure European consistency in approach. More information can be found at www.edaa.eu.